A cargo Boeing 747 crashed near Kyrgyzstan’s capital of Bishkek on January 16, the country’s authorities reported. 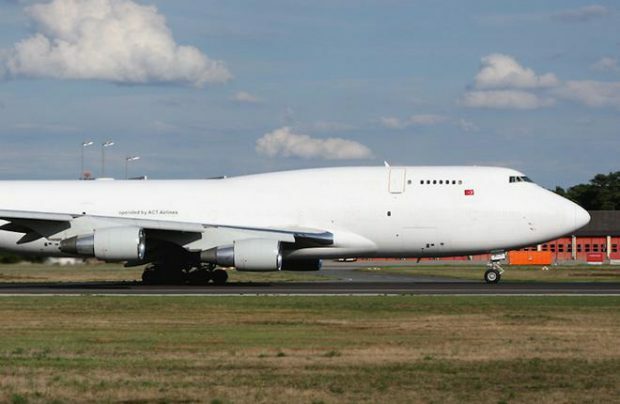 According to open sources, the lost aircraft was a Boeing 747-400F with tail number TC-MCL operated by a Turkish cargo carrier ACT Airlines (flies under the brand name of MyCargo Airlines). Flight TK6491 was operated under the code and in the interests of Turkish Airlines. Manas International Airport will remain closed until at least 16:00UTC. The aircraft crashed at 07:18UTC in about 1.5 – 2 km from Bishkek’s airport in Dacha-Suu village, damaging 15 houses and killing more than 30 people, including the crew, according to local Kabar newswire, which cites the county’s Transport ministry. Photos from the crash site show that the airframe completely destroyed. Flight TK6491 from Hong Kong to Istanbul was supposed to make a refueling stop in Bishkek. ACT Airlines started operating TC-MCL early in December 2015. Prior to this it had been registered in the fleet of Singapore Airlines Cargo. The aircraft with tail number TC-MCL (s.n. 32897) was built in 2003 г. The airline’s reported, this Boeing 747-400F had flown the total of 44,376 hours and 7,877 cycles as of April 13, 2016. The previous C-check had been completed on November 6, 2015. The aircraft was powered by Pratt & Whitney PW4056 engines, which by mid-April had accumulated since last overhaul 87,873 hours (13,531 cycles), 53,934 hours (9,338 cycles), 45,531 hours (6,739 cycles) and 87,843 hours (14,875 cycles). ACT Airlines was founded in 2004 г. Since 2011, 49% of its shares have been owned by Chinese HNA Group. With the crashed aircraft factored in, its fleet consists of eight cargo Boeing 747-400 aircraft of different versions.